Wax, wicks, what could be complicated? A lot actually — there’s a science to it. These candle making tips will help beginners learn all about it. On the other hand, soy wax — which has increased in popularity in recent years — is fairly soft and therefore best suited for container candles. This wax is generally better at throwing aroma than beeswax, but it’s not as well as paraffin wax. 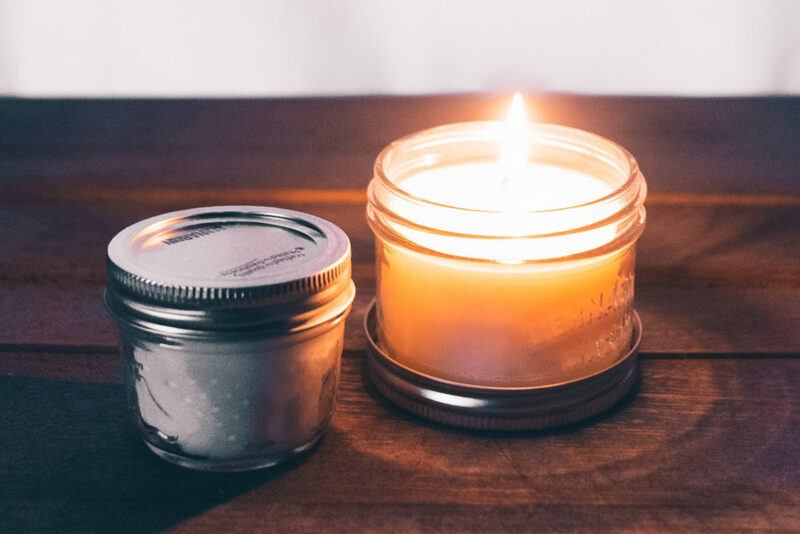 Paraffin wax is known for being one of the best for throwing scents, but some modern-day candle makers shy away from using it because it “may possess some carcinogenic properties,” according to the US Department of Labor Occupational Safety and Health Administration (OSHA). And, although it is not considered to be toxic by the Centers for Disease Control and Prevention, paraffin wax fumes can cause irritation to eyes, skin and the respiratory system. If using a fragrance made for candle making, Novack suggests adding it to the wax when its at its hottest so it will blend well. However, if using essential oils, you may need to wait for the wax to cool a bit so the oils don’t break down or vaporize. Different essential oils vaporize and even catch fire at different temperatures; this is called their “flash point,” and for many oils, this number is below 180 degrees Fahrenheit. The flash point for oils varies somewhat by source and batch; therefore some oil suppliers offer charts of flash points to their customers to help them with their selections.